Washington Slagbaai National Park (full history here) is a 5,643 hectares nature sanctuary located in the northwest part of the island. It was the first nature sanctuary of the Netherlands Antilles and was established in 1969. It is a safe habitat for the terrestrial endemic and endangered species of Bonaire. Parrots, flamingos, parakeets, iguanas and many other species of birds and reptiles can be found in this protected area. The beaches inside the park are an important nesting ground for all four species of sea turtles found in the Caribbean. Originally inhabited by native South Americans, and comprised of two of the largest plantations on the island during colonial period, the park is rich in historical and cultural heritage. The visitor center at the park entrance, with its museum and hiking trails offers visitors an enjoyable learning experience. Non-residents $25 per calendar year or $15 with proof-of-payment of the $10 “Other users Nature Fee”. Residents $15 per calendar year or $3 day pass (Nature Fee). Until the end of February 2019 these prices apply. From March 1, 2019 the new fee structure will be implemented. For more information visit the following page. * Only enter the park with a four wheeled motor vehicle with a spare tire. * Be sure to have plenty of drinking water for your trip into the Park. You’ll be grateful for snacks, too, especially fruit, and ice – but water is a necessity. * Be sure to apply sunscreen. Don’t forget the back of your neck, your lips, nose, and ears, and the top of your head if your hair is thin. Even if you don’t leave your car, put sunscreen on your arms and any other parts of you that are in the sun. * Use sunglasses and a hat or visor. 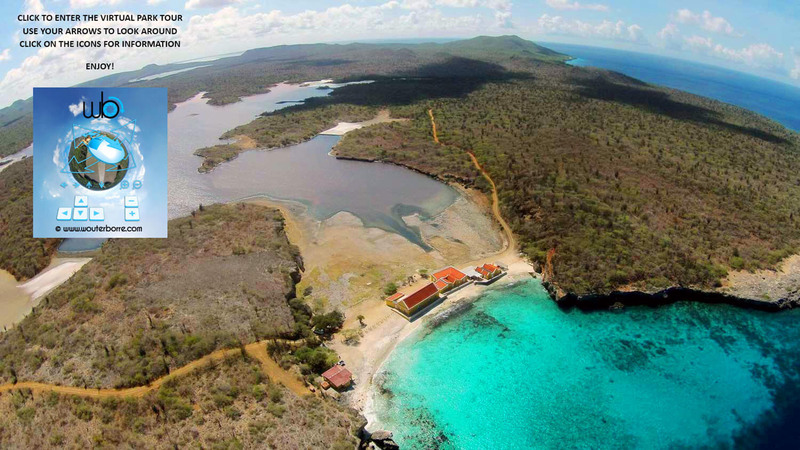 The Nature Fee provides the funds to manage and conserve Bonaire’s beautiful parks. The Nature Fee is used for activities such as conservation programs, nature education, research and monitoring, awareness building, law enforcement, park facilities and maintenance. 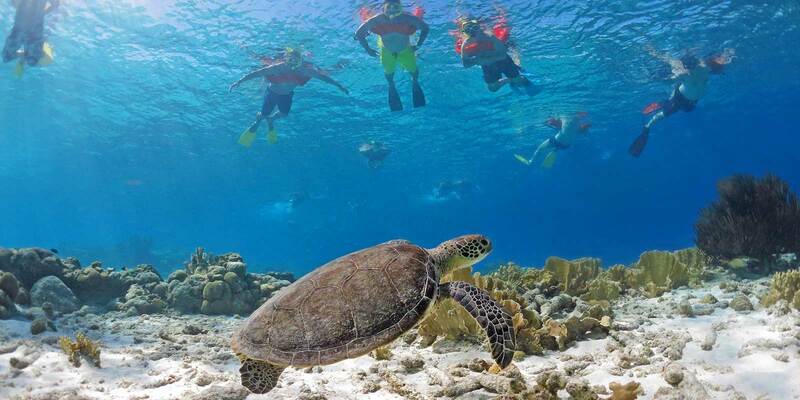 The Nature Fee applies to all users of the Bonaire National Marine Park and the terrestrial Washington Slagbaai National Park. The Marine Park surrounds the entire island of Bonaire and Klein Bonaire from the high water mark to the depth of 60 meters (200ft). 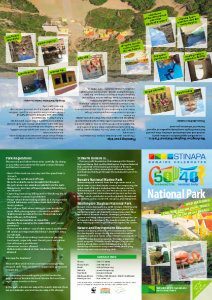 Help conserve and protect Bonaire’s nature by paying your Nature Fee so we can all enjoy Bonaire’s nature now and in the future. The fee for non-residents is U.S. $25 per calendar year or U.S. $15 with proof-of-payment of the $10 “Other users Nature Fee”. Residents pay a fee of $ 15 per calendar year or $3 for a day pass. Until the end of February 2019 these prices apply. From March 1, 2019 the new fee structure will be implemented. For more information visit the following page. 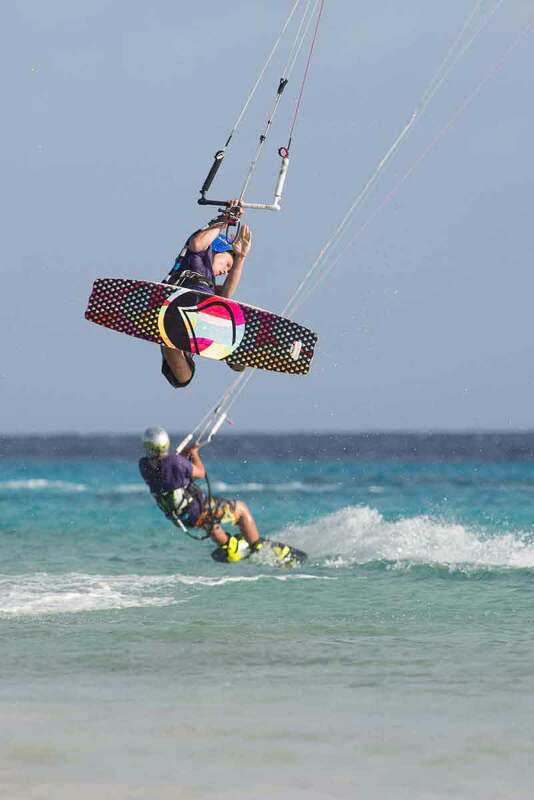 The Nature Fee may be purchased at watersport facilities, the Tourism Corporation Bonaire office in Kralendijk or at the Visitor Center at the entrance to Washington Slagbaai National Park. Do not bring any animals or plants into the National Park. They can become invasive species and threaten the local species. Use the trash receptacles for litter. Take care that nothing harmful to the environment is left behind. Do not play loud music or behave in a noisy manner, especially near the saltpans. Birds, especially flamingos, are sensitive to disruption. Capturing, harassing, killing and/or disturbing any of the animals or plants is prohibited. Do not take pictures inside the caves. Flash photography is a hazard to wild life. Swimming, fishing or kayaking are not permitted in the salt-pans. It will disturb the wildlife. Damaging any natural or manmade property is not allowed. Only four-wheeled motor vehicles with a spare tire are allowed. Roads are one way and the speed limit is 25 Km/h. Quads and trikes are not allowed because they van disturb wildlife and the roads can be dangerous. Do not build fires or discard matches or cigarettes carelessly because the dry vegetation in the park is sensitive to bush fires. Building fires is only allowed in the charcoal barbecue pits at Slagbaai. We discourage feeding any animals. Feeding animals will alter their natural behavior making them more dependent on us or even become aggressive towards us. No weapons or animal traps (including fishing nets) are allowed in the park. Dives should commence prior to 2:30pm, allowing visitors time to vacate the park by 5:00 pm. Washington Slagbaai National park, offers a wide variety of activities. You can choose the long route or the short route. Both routes will take you to spectacular views, hiking trails, bays and eventually to Slagbaai. At Slagbaai you can enjoy the beach, have some lunch (bring your own) and observe flamingo’s and many more bird species from a short distance. For more information about the activities click on the links below. The job duties of a park ranger include protecting unspoiled natural resources from pollution, improving the conservation efforts of large park areas, and managing the day-to-day operations of our national park. Rangers are often unsung heroes who work long hours in extreme conditions. Bonaire’s nature laws prohibit activities such as poaching, illegal hunting and vagrancy within national parks. It is the ranger’s job to enforce those laws. In addition to laws pertaining to the park, the ranger must insure that no other crimes are being committed by visitors. These crimes include trespassing, solicitation or vandalism. The ranger also protects the fragile environment by not allowing cutting or removal of any plants, prohibiting dumping of waste and preventing access to areas with fragile ecosystems. Keeping the park safe for visitors and wildlife is the most important part of a ranger’s job. Educating the public on their conduct while in the forest helps accomplish this. Rangers help visitors understand how to navigate nature trails and the markers to look for so they do not lose their way. Guided tours are organized regularly along some of our nature trails and up the Brandaris, offering visitors a unique opportunity to learn more about the history of the park.